Quick and easy online school projects and short reports. Web Worksheet Wizard and Project Poster have combined to make Web Poster Wizard. This FREE tool allows educators to create a lesson, worksheet, or class page and immediately publish it online. Teachers can also set up classes and assign projects to students. 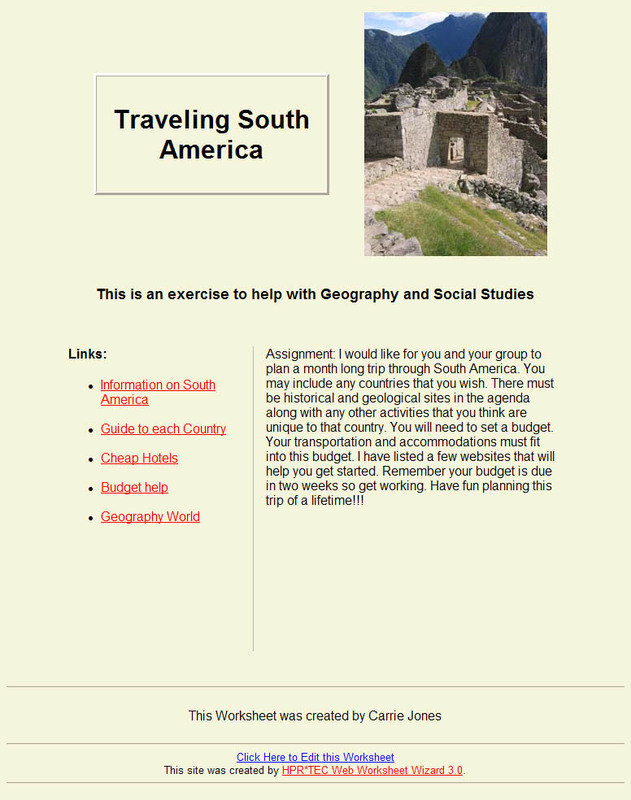 Students complete the assignments by creating their own online projects or reports. 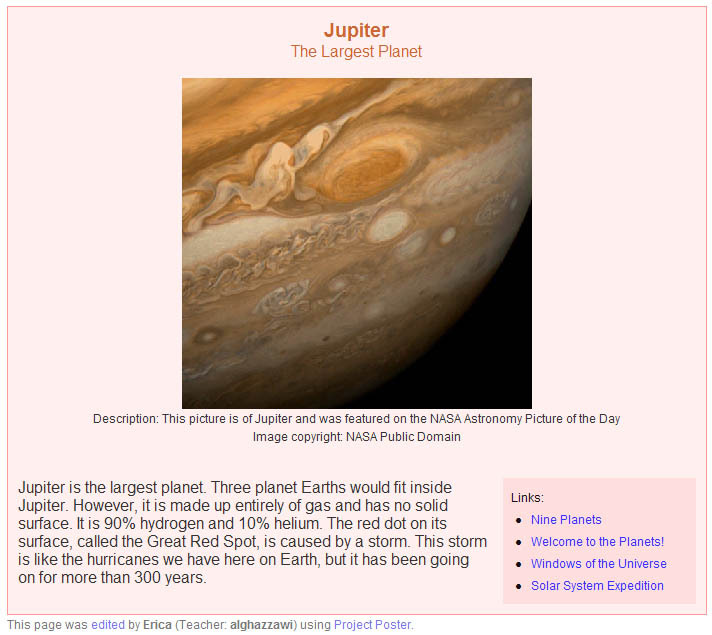 Teachers and students can even add images and links to their pages. Centralized login for better teacher organization. Student and teacher information now in one account. Archive option keeps student projects longer than one month. Teacher Feature option creates one Web page of class' archived projects. New teachers simply register to use this free tool. Users who already had a Web Worksheet Wizard or Project Poster account can simply login with their previous login information. All your previous work will be in this new tool. Teachers create classes and a class code is automatically created for each class. Teachers can then start making Web pages. Teachers wanting to assign a project to the class can print out class codes for the students and hand them out with the assignment. Students plan their posters, then click on 'Create a New Poster' link in the Student Login box and fill in the requested information. Teachers view and archive students' posters when managing classes. Students can edit their own posters at any time by typing their poster ID number and password in the Student Login box. Teachers and students can view their pages by entering the ID number, teacher name, or class code in the Search for a Poster and Worksheet section. Teachers can use the Teacher Feature option to automatically make a class page that links to all archived student projects in that class. Users who were already registered in Web Worksheet Wizard or Project Poster will find that their accounts are still available and their information is still intact. Please login to your account with the same information. You do not need to create a new account. Contact Us if you need any assistance. This tool is for educational purposes only. All personal or personally identifiable information will be automatically deleted. Note: If you created Worksheets using wizard.4teachers.org, and you do not remember the email address used, click here. Copyright. © 2000 - 2009, ALTEC at the University of Kansas.